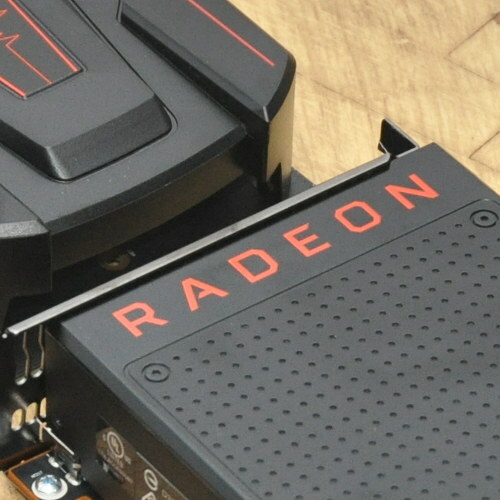 Back in May AMD posted initial open-source "Vega 20" patches and support for that yet-to-launch graphics processor was subsequently merged for the Linux 4.18 kernel. More of the Vega 20 AMDGPU kernel driver enablement has now been posted. This latest 69,910 lines of code -- before fretting, most of that is auto-generated header files for the GPU -- notably adds PSP (Platform Security Processor) and SMU (System Management Unit) for Vega 20. With the SMU enablement code, it's also now wired in to enable Vega 20 PowerPlay support as well as related power/clocking-functionality like OverDrive overclocking is also available. Following these PSP/SMU/PowerPlay patches, the AMDGPU kernel driver goes ahead and drops the experimental flag for the Vega 20 graphics processor. The golden register settings for Vega 20 were also updated. In my cursory digging through these patches, no major secrets were revealed for this GPU we've been awaiting to launch. Vega 20 is widely expected to be a 7nm Vega graphics card with upwards of 20 TFLOPS of compute power, feature deep learning instructions, and be some sort of exciting HPC/workstation GPU coming out before the end of 2018. Based upon these 38 patches coming out today and being too late for the Linux 4.19 kernel merge window via DRM-Next, this code is most likely waiting until the Linux 5.0 (nee Linux 4.20) cycle unless it happens to get added as a late item considering it's for new hardware support and shouldn't regress existing users. But we'll see... If AMD tries to squeeze it in Linux 4.19 it could mean the launch is closer than we think.